When it launched its Kickstarter campaign last November, Kano, a $150 computer comprised of a Raspberry Pi, Wi-Fi, Bluetooth and a speaker, was marketed as a DIY computer for kids and people went wild. The campaign raised over $1.5 million — a significant jump from its ambitious $100,000 goal — and was written up in a variety of tech publications from Wired to our own. Today, the Kano is available for anyone to buy, so for those wondering if now is the time to get their tyke a computer, my eight-year-old daughter and I tested the device over the last two weeks. Most of our experience came on the front end of opening and building the machine, with little time left for gameplay owing to heavy homework schedules and some out-of-town guests. The short of it is if you are looking for a kid-friendly computer that reminds you of the programmability of the Commodore 64, then the Kano is a bargain. If you are looking for an actual computer or content creation device like for homework or internet research, this may be a bit of a stretch. I used to help my dad build our computers back in the late 1980s and knew more about motherboards, processors and NIC cards than most adults at the time. It influenced my love of technology, which led me to my current job and helped me feel comfortable in what many perceived as some kind of guy or geeky world. So being able to turn to my daughter one Saturday afternoon and ask, “Do you want to build a computer?” and have her eyes light up and hear say, “Sure!” would have caused me to shell out the $149.99 right there on the spot. 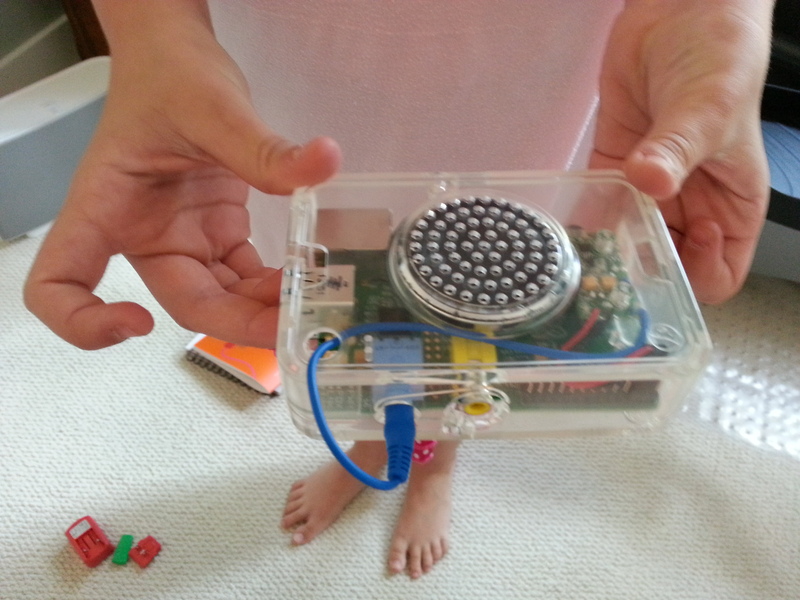 But even if you aren’t nostalgic, spending an hour of time building and setting up the Kano is a fun way to interact with your kid. When we opened the box my daughter exclaimed, “OMG, Mom, it looks like Minecraft!” before ripping the outside off and staring at the orange keyboard with delight. The first thing we pulled out was the instruction booklet, which laid out the steps of assembling the Kano in clean, kid-friendly instructions. While we were pulling out the motherboard and snapping the case around it, I tried to tell her just a bit about what each part was. This was stupid of me. She just wanted to build it so she could see what it did. I was turning something fun into something lame. I stopped. She expressed some frustration when inserting some of the USB cables and connecting the speakers because she felt like she couldn’t do it right (she wasn’t pushing hard enough on the USB and the speaker connectors intimidated her), but with a bit of an assist from me and encouragement, she managed. She complained that she didn’t feel like she was building the machine, but once we were ready to plug it in she proudly told her dad that she had built it, so I think she forgave my help. Now building the Kano was not like building computers with my dad, when we would actually solder stuff onto a board. This was more like plugging in a bunch of components when your desktop arrived, but it still got my daughter to feel like this was something she could do. We did plug the speaker in the wrong way, but we simply took it apart and fixed it after my daughter looked at the instructions again to see what was wrong. I liked that the computer ran us through a testing scenario once it was set up and turned on. I didn’t like that the bluetooth keyboard wasn’t charged so we had some issues with controlling it during setup, which frustrated my daughter. We took a break to charge the keyboard and resumed setup later. You should probably read the last few pages of the instruction book (I didn’t) to avoid needless confusion if the keyboard gets glitchy. 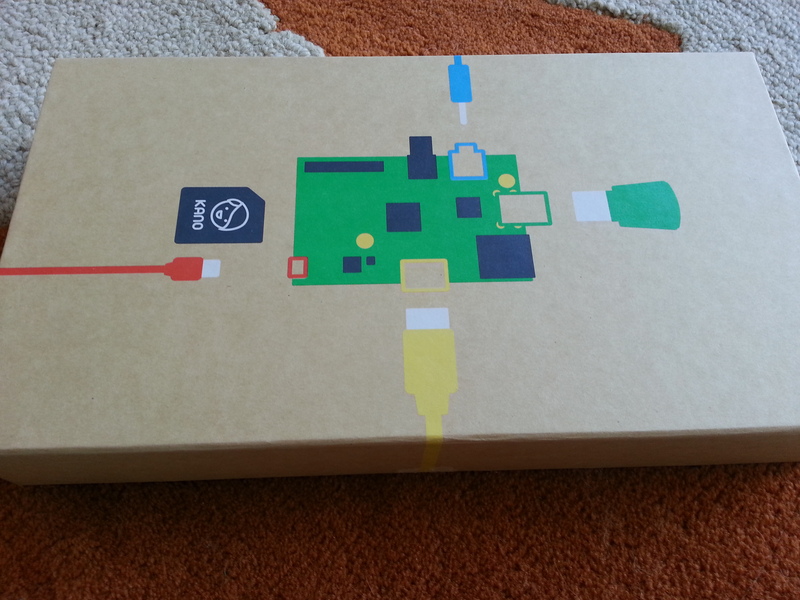 You need a spare HDMI monitor or TV to plug the Kano into and it is much slower than your typical laptop since it’s running a 32-bit ARM-based processor on the Raspberry Pi. However, it has decent graphics performance for the associated games on the computer (Pong, Minecraft and Snake), the most important of which is Minecraft (at least in my daughter’s eyes). She settled in to start playing and completely ignored the optional screen at the bottom that would let her make her own tools and showed the code that generated them. I think it’s a feature she would embrace over time, but she hasn’t had much chance to play with the Kano yet. She still tends to gravitate toward Minecraft on my iPad, where she has an entire world filled with houses, a glass-box zoo and apparently a new problem with raging forest fires. But we’re coming back to the Kano this weekend, and it’s possible I’ll do a follow on review when she’s spent more time with the system. You can browse the internet via the open source Chromium browser, check YouTube videos and install LibreOffice for word processing, but I’m still not sure this is a good substitute for my third grader when compared to a basic laptop. The upshot is, this is an expensive but fun project that might get your kid into computing and coding, or even just get them off your iPad for playing Minecraft. I think for a kid interested in coding, or in delving deeper into the games, it will be an awesome springboard into more complicated coding adventures. But it also does a nice job of letting the kids pick up on that at their own pace and interest level. I probably will buy one for my daughter’s Christmas present after I ship the review unit back, even if she’s only middlingly enthusiastic about it for now. With kids, you never know when their interest might come alive, and this seems like a good tool to encourage it if it does. Actually, the idea has been to provide cheap building blocks to learn computer hardware and software building and modding (aka “hacking” in the original, good sense of the word). There are plenty of cheaper and more powerful computers to be had on CraigsList, eBay, and the like, but they are mostly plug-and-go with Windows/Mac OS. What people are buying here is a whole package to help kids learn to play with computers. Not everyone can go to Fry’s or order the parts they need to build a computer from absolute scratch and load the right software on it, but that doesn’t mean their kids may not benefit from something like this. I made the point in my review that this isn’t the “building” I’m used to, but really its the software and coding that matters these days anyhow. 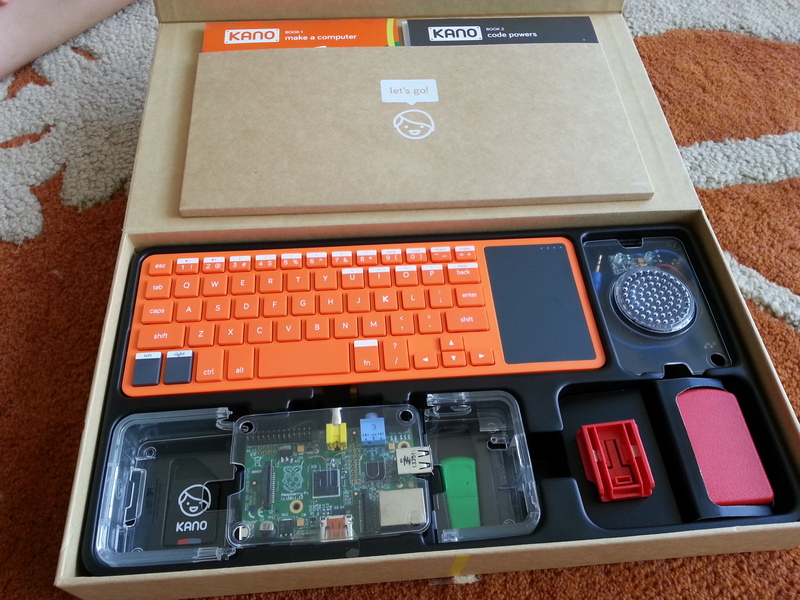 How is the Kano different than the $35 Raspberry Pi computer?